lead crises such as Flint. 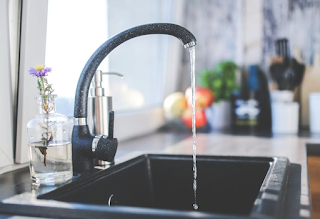 Last week, the Michigan Department of Environmental Quality (MDEQ) enacted the nation's strictest laws against lead in drinking water. Starting in 2025, the new rules will lower Michigan's lead threshold to 12 parts per billion and require Michigan communities to remove all lead service lines - even those on private property. The rules are slightly more lenient than Michigan Governor Rick Snyder's original proposal in 2016, which called for a lead action level of 10 parts per billion starting in 2020; however, the new rule is still lower than the federal level of 15 parts per billion. To assist with enforcing the rules, Michigan created a new water system advisory council. The council will assist communities in creating inventories of their water supply infrastructure. In areas with lead service lines, the council will oversee an annual water sampling. Legislators say that the initiative was sparked by several lead poisoning crises in Michigan- most topically, the Flint water crisis in which thousands of residents were exposed to lead from eroded lead pipes used heavily in Michigan water infrastructure. According to Michigan lawmakers, the state needed to take aggressive action to stop lead poisoning. "As a state, we could no longer afford to wait on needed changes at the federal level, so Michigan has stepped up to give our residents a smarter, safer rule- one that better safeguards water systems in all communities," Michigan Governor Rick Snyder said in a recent press release. Several municipalities, such as Grand Rapids and Ann Arbor, have already begun replacing lead service lines. However, some city officials are concerned about the ruling. The rule is effectively an unfunded mandate, meaning cities are on their own to replace their extensive lead pipe service lines. In response, state officials have recommended cities to incorporate renovation costs into their management plans, and ultimately, their sewage fees. City advisors, however, are uncertain of the logistics for lower income communities. "We also need to be looking at a real water affordability plan that is based on income and the ability to pay. Many of our urban areas like Detroit and Flint are being hit by rates that are unaffordable," Cyndi Roper, Michigan Senior Policy Advocate for Natural Resources Defense Council, said in a recent press release. Ultimately, Michigan's new lead laws have the potential protect thousands of citizens from lead poisoning. No amount of lead exposure is considered safe, so all actions toward lead poisoning prevention are important. With its progressive rules, all eyes are on Michigan to see how this lead policy effort unfolds. For more information about Michigan's lead water rules, visit MDEQ. To learn more about lead abatement and how to get involved in this field, visit Zack Academy's lead homepage.